Musically it reminds me a lot of old school TLC, but with a lot less negativity and hostile attitude. While relatable songs like Friendzone give voice to the familiar feelings of heartache, The Journey’s tone is more inspirational than confrontational. Even tracks like Revenge reveal more of a genuinely afflicted sorrow of a woman yearning for someone who understands her pain than a vengeful soul that truly wants revenge. The “revenge” is just the desperate means to extract empathy from the one she cares for. In fact, The Journey takes the listener through a wide range of emotions, featuring everything from recklessness to sorrow. 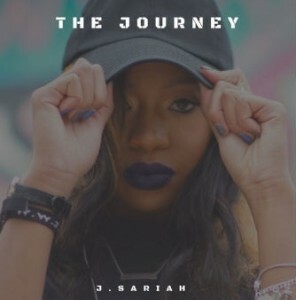 In addition to demonstrating some dynamic vocal ability (she is quite a good singer) J. Sariah also manages to convincingly convey an array of emotions through her tone and diction, even when one doesn’t take into account the actual lyrical content. The instrumental backing displays a similar versatility as each song is musically distinct from the rest in a substantial way. This isn’t just someone singing to several variations of the same generic beat.